Classically Liberal: A half-a-cup of coffee saved my life." 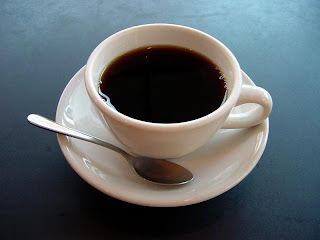 A half-a-cup of coffee saved my life." At Christmas I posted a comment about the randomness of life. In particular, I mentioned my futile, but repeated attempts to spend a Christmas holiday in Phuket, Thailand. But, no matter how hard I tried, I failed to secure a reservation at any resort and flew to Sydney instead. That was the year of the Boxing Day Tsunami that wiped out the resorts of Phuket in just minutes. This really taught me that the most inconsequential decision we make could easily have life or death results. Recently I spent some time with someone who I admire, even though we disagree on many, many issues—some of which really are quite fundamental. That someone was Carol Ruth Silver. I've mentioned her before on this blog: for instance here, and here. Carol Ruth was elected to the San Francisco Board of Supervisors in the same election as Harvey Milk. Their districts were adjoining, as were their politics and Carol Ruth soon became a close ally of Harvey's. As you may remember, Harvey Milk was assassinated by Dan White, a former city supervisor who resigned his position, changed his mind, and theny wanted to get reappointed to the very seat he had just vacated. When Mayor George Moscone refused, White stuck into City Hall with a handgun and murdered Mayor Moscone first, and then killed Harvey Milk. It was latter discovered that White had two other targets that day as well. One was Willie Brown, the Speaker of the California State Assembly and the other was Carol Ruth. Coincidentally Brown was in Moscone's office when White appeared demanding an audience. Brown slipped out the back door of the office and left, just seconds before White was admitted. Within a few short seconds Moscone was dead on the floor. White exited the same back door but never saw Brown. He then went looking for his other victims, including Carol Ruth. Harvey didn't live, Carol Ruth did. Why? She shared that story and it confirmed what I wrote about the Boxing Day tsunami. The morning of the assassinations, Carol Ruth was having a coffee with a friend. She wanted to hurry into the office but the friend insisted, she says, that she stay for "just another half-a cup-of coffee". Carol Ruth consented to that extra little bit of coffee. As a result she was going to be just a few minutes later than she planned. And just late enough to miss Dan White. As Carol Ruth put it: "A half-a-cup of coffee saved my life." posted by blog owner at 1/10/2010 09:20:00 AM DiggIt! Reddit Del.icio.us Slashdot It! Ten top lies fundamentalists tell about America. A modern day witch hunt. How the most religious states fare. Flubbed terrorists known to government. Government strips away your right to pee! Christmas: What you know that just ain't so.